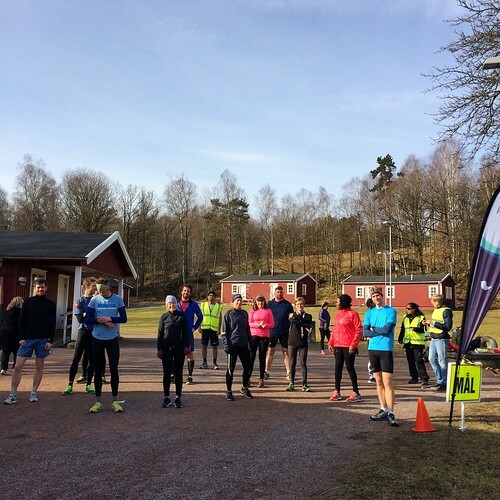 Spring is here – reports, pictures and updates from parkruns around the Nordics! Spring has finally arrived across the Nordics, and so it seems that last weekend was the first one for a while which will see events having to be cancelled due to snow and ice. Here’s some quick updates to keep everyone updated on their local events. After having to cancel the event in the previous 2 weeks, the team were desperate to get back on track. After some careful planning, they were able to go ahead with the event on a shortened ‘out-and-back’ route, which the runners and walkers took in 3 times. You can read the full run report here. 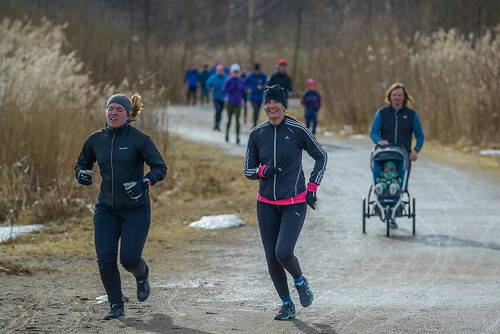 After being kept away from even the winter route due to ice and then flooding, Toyen parkrun was back on this week at last. 56 runners took the chance to get back into their Saturday routines and joined the event. Next week the team hope to revert to the regular summer route. 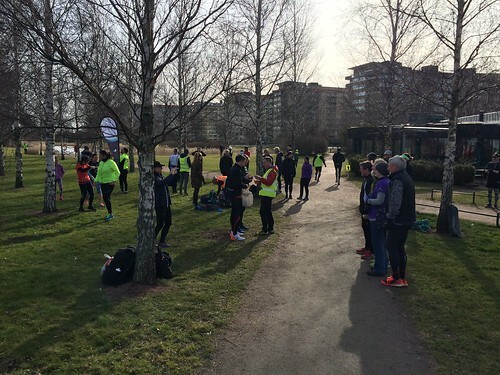 We had a hugely successful launch of Malmö Ribersborg parkrun last Saturday. 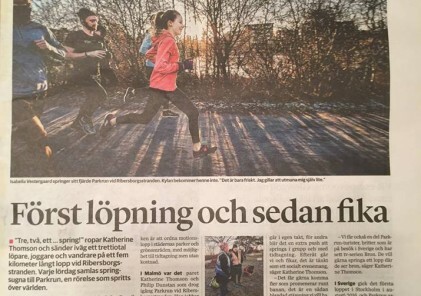 79 people took part, with a mixture of locals, tourists and an influx of Danes from the Köpenhamn parkruns! Well done to the team there! 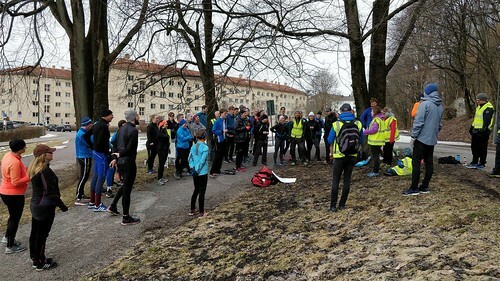 Skatås was able to return to the summer course for the first time, as the final patches of ice cleared from around the course. Above is a picture from before the start on Saturday. 72 runners came to Haga last Saturday and for the first time the ground wasn’t frozen so we were able to have the finish funnel on the grass! Signs of spring are back – the toilets have returned and next week we hope that fika will be at the nearby Haga Tennis Club! After several weeks of being cancelled due to persistent ice, both events are now able to go ahead for the first time this Spring. We welcome everyone back for a new season of parkrun on Saturday 14th April! 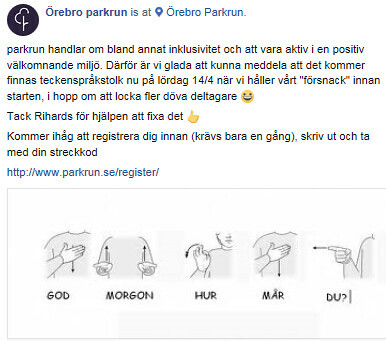 The countdown is beginning for the first birthday celebrations for Örebro parkrun. 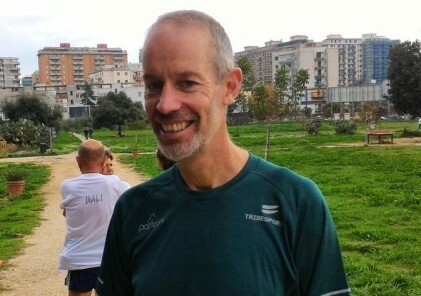 With a number of deaf runners attending regularly, this week they will be having a pre-run briefing in sign language, in the hope of attracting more deaf runners to the event. A great initiative from the team there to ensure that parkrun is truly inclusive for all people wishing to take part. They also have a little competition going on, thanks to generous sponsorship of Löpex Sports. Come along on Saturday to have the chance to win a pair of EnRoute shoes from our sponsor Salming. All seven events in Denmark went ahead as normal this weekend, with 350 runners and volunteers in total. 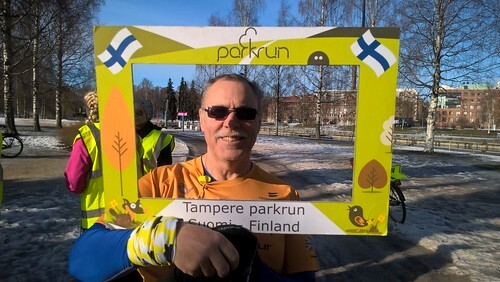 Faelledpark parkrun had the most runners, with 95 people taking part this week. 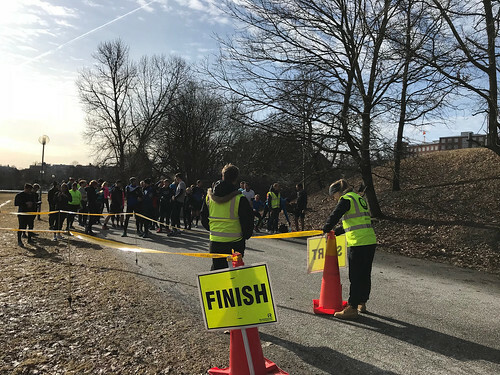 Above is a picture from the start at one of the smaller events, Vejen parkrun.